Finance Minister Malusi Gigaba delivered the annual budget speech in the National Assembly on 21 February 2018. 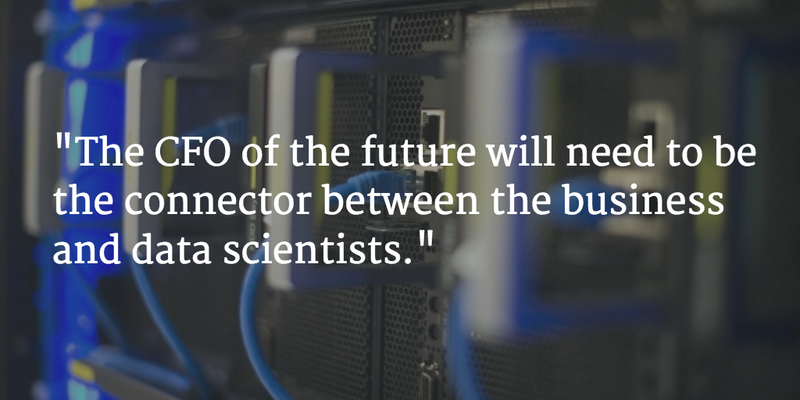 The role of the CFO is rapidly changing. A chief financial officer can no longer simply rely on crunching numbers while focusing solely on a company’s balance sheet. To succeed from here on, CFOs will need to shift their focus towards analytics, people management, disruptive technology, and several other crucial and newly forming variables. Business Insider sat down with Ash Noah, vice president of CGMA External Relations at the American Institute of CPAs (AICPA). Noah is the former CFO of the international unit of TNT Express, a global transport and logistics provider. 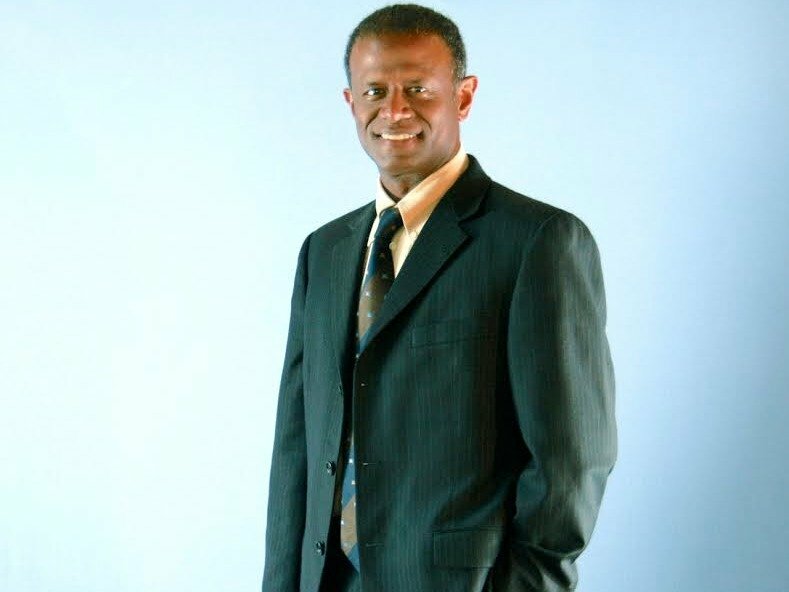 In his role, he led finance teams in 45 countries through a significant transformation. Today his team travels all over the world, talking to CFOs and other financial experts about company needs, transformative changes in their industry, and much more. Noah painted a picture of what the CFO of the future will look like, and it’s a stark contrast from today’s financial leaders. 1. CFOs must become analytics wizards. The current role of the CFO is very transactional. However, that is starting to change. 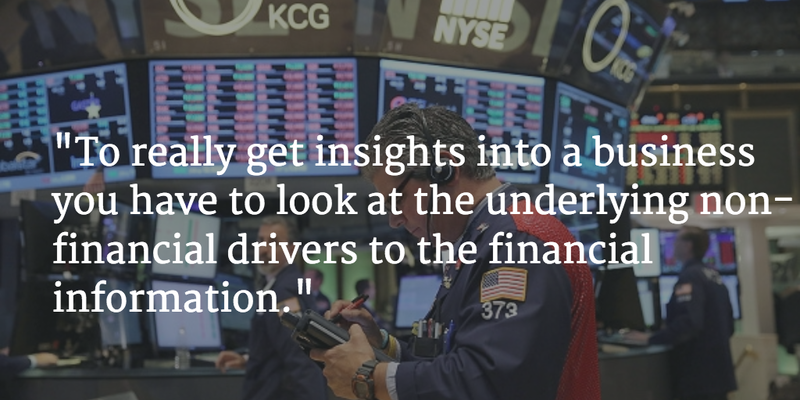 Noah says CFOs are quickly becoming more analytical at their core. Noah says there is already a “pull from businesses” as they seek out more analytics data and that CFOs are cognizant of that pull. 2. 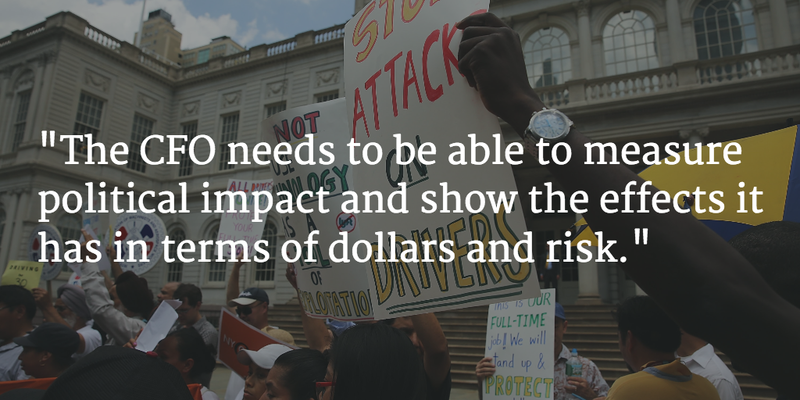 CFOs must manage an increasing amount of risk. 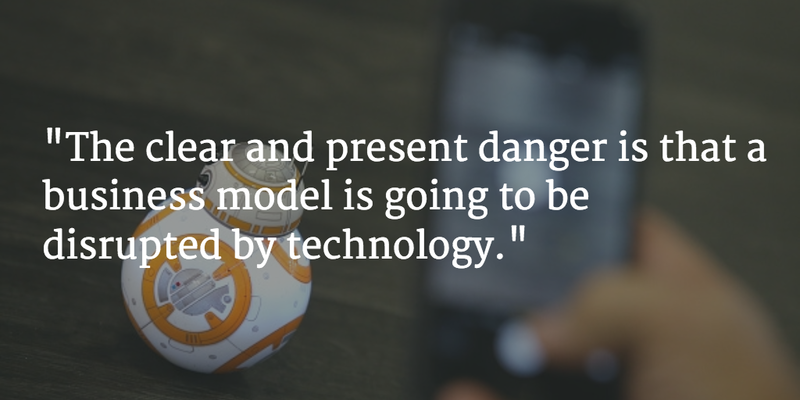 The level of risk and the rate at which risk is increasing is unprecedented. This calls for highly skilled risk management processes, says Noah. 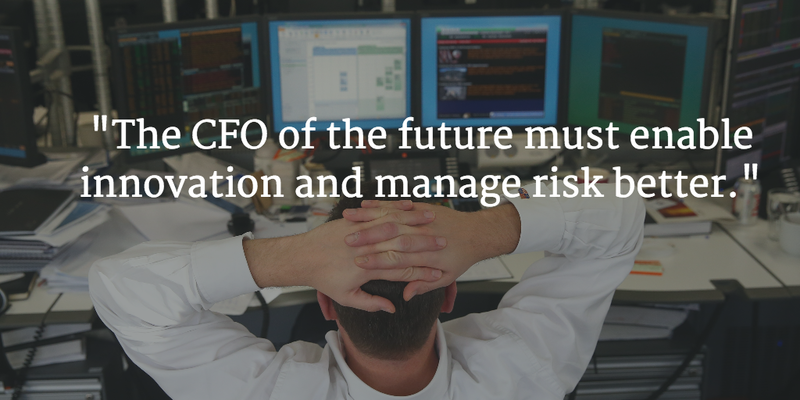 The CFO of the future needs to be beside the CEO, helping to navigate these risks. “Making your business resilient and strengthening your business model is what the CFO of the future will have to do,” Noah says. To underscore his message, he points to the S&P 500. In the 1950s, most companies featured on the list would remain there for 60 years. Clayton Christensen of Harvard University says today’s average S&P 500 company will drop off the list in 18 years. Based on those numbers, 75% of the current S&P 500 will not be featured in 2027. 3. CFOs must adapt to new technology. 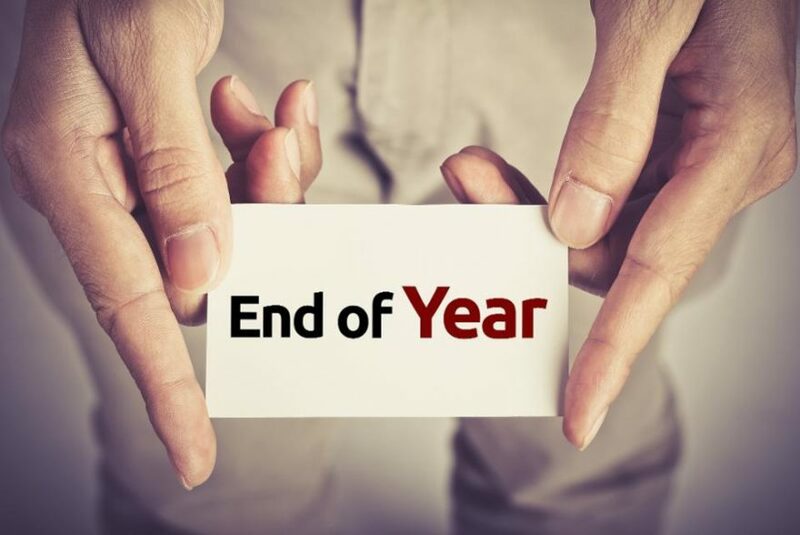 CFOs can no longer rely on old tools and the traditional return on capital, return on investment, payback period, and all the measures that CFOs are so familiar with. 4. 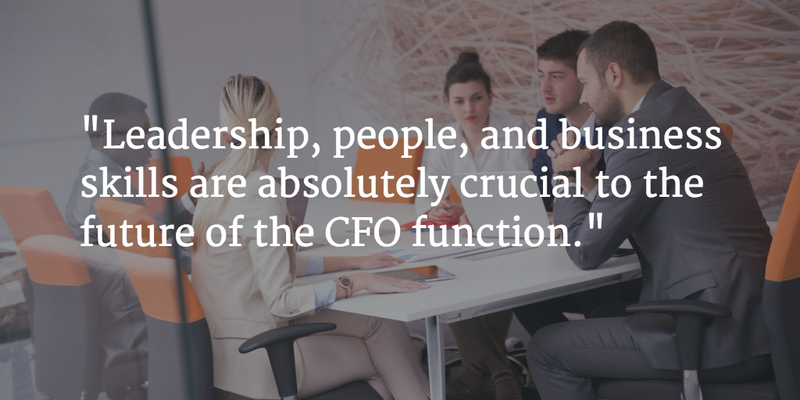 CFOs must become better at managing people. Noah says you have to use your technical skills in the context of the business to influence people and to lead change. 5. The CFO of the future must guide decisions in a politically charged atmosphere. The role of a CFO is to represent the organization and fight for the business models of the new world. Noah cites the example of Uber, which has been attacked by government agencies over its contractor-versus-employee structure and its general services. 6. CFOs must manage big data as a large part of business operations. 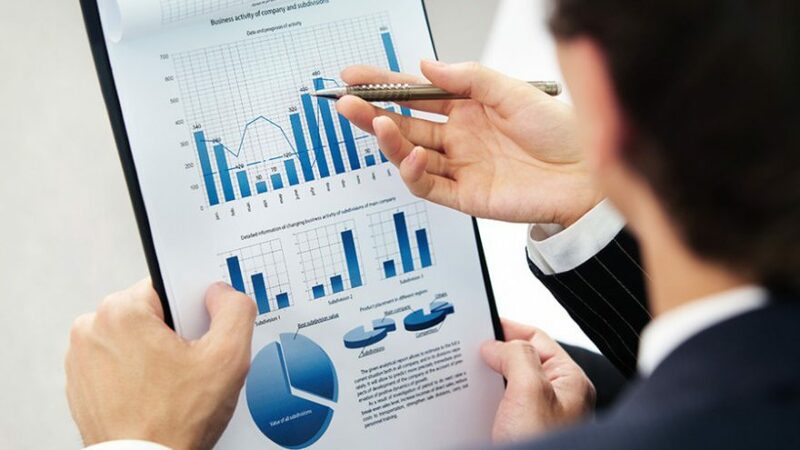 Data and analytics are becoming increasingly crucial to businesses, not just in terms of finding new markets and new segments in order to achieve revenue generation, but also for understanding, variabilizing, and controlling costs. 7. CFOs will make effective decisions with analytics from outside of the enterprise. “CFOs need to develop the right question when creating datasets,” Noah says. Non-financial data may include machine-versus-human labor and productivity, and how many products were consumed or sold in the marketplace. “To really get insights into a business you have to look at the underlying non-financial drivers to the financial information,” he says. 8. CFOs need to understand business drivers and the underlying non-financial information that drives the financials of their company. While analytics outside of the enterprises will become increasingly important, CFOs must also be able to look at the value their company is creating based on variables such as intellectual property and intangible assets. 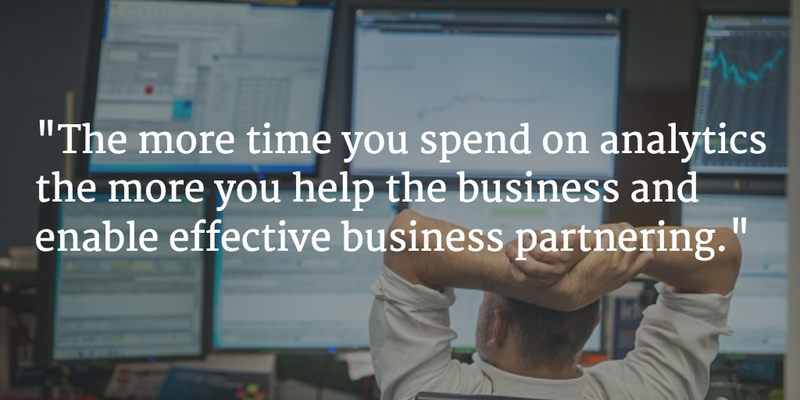 Those non-financial business drivers are becoming increasingly important. Noah explains that “when we look at trends, the valuation of a company was traditionally based on 80% of the value created in the balance sheet by tangible items and about 20% of the value was intangible. There was a gap between the market cap of the company and the balance sheet valuation.” A study in 2010 found that if you look at S&P 500 valuations today, the gap between the balance sheet and the market valuation has become 80%. That means 80% of the valuation is no longer in the balance sheet. 9. Hiring decisions will become a major part of the job for future CFOs. 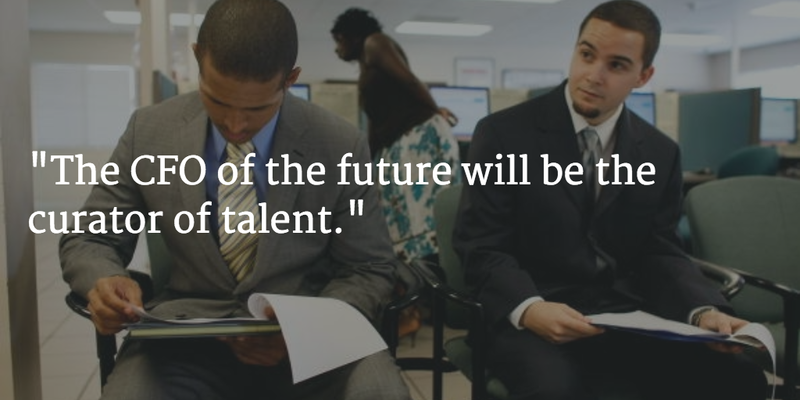 CFOs will need to drive talent acquisition and retention. He also believes the CFO will need to find creative ways to retain workers based on the company’s desired competencies. As an entrepreneur or business owner you know the truth of the old saying that sometimes you have to spend money to make money. But, you also have to save money to have money! And saving more money consistently ranks as a top financial resolution people make each New Year. We all need to do it — whether to build a robust emergency fund, secure our retirement, or create the equity we need to build a business and lifelong wealth. But, how many people actually succeed? According to some reports, up to 80 percent of people who make New Year’s resolutions fail to keep them. Yet we know that people who make resolutions are 10 times more likely to attain their goals than people who don’t. 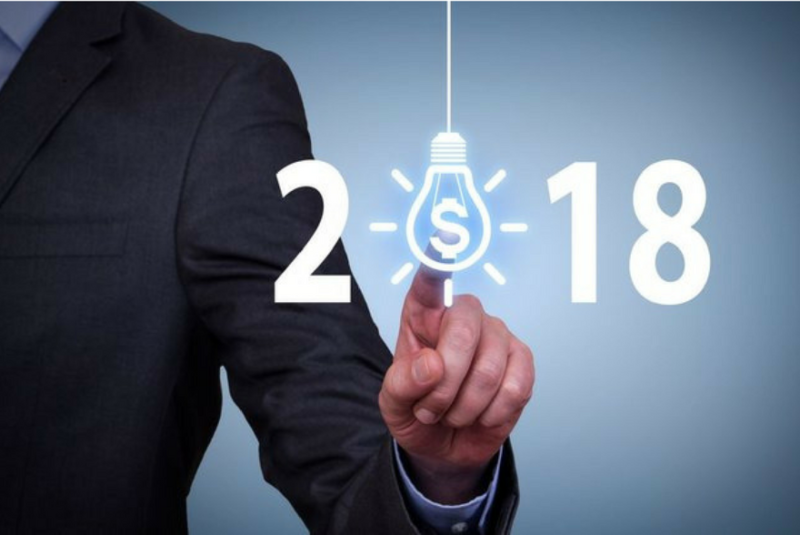 For many people, the start of a new year is the trigger they need to change their behavior patterns to set themselves on a lifelong journey toward financial security and self-sufficiency. What does it take to be one of the successful few? What can you do this time around to increase your likelihood of remaining on track when next New Year’s Day rolls around? 1. Understand that real, permanent change comes from within, rather than from outside pressure. In their groundbreaking book, Changing for Good, three psychologists looked at 130 different techniques that people used to try to give up smoking. They discovered it is not a lack of potent and effective quitting techniques that defeats so many smokers. Rather, it is the internal thought processes that prevent (or enable) permanent, life-enhancing change. Their discovery captured the attention of leading academics, clinical psychologists, life coaches and authors looking into why certain people are able to set a life-changing goal, meet it and keep themselves from relapsing. The good news: Researchers have discovered that we all have it within us to modify our behavior and cross the “Resolution Finish Line,” regardless of how ingrained our habits are. When you consider how mindset affects everything in our lives, it’s no surprise that it’s the key to achieving our financial goals. Many people require outside support when they decide to get serious about holding themselves accountable for their financial resolutions. M. Kathryn Seifert, Ph.D., a Maryland psychologist who operates three mental health clinics, says a coach — whether a professional for hire, a friend or a religious leader — can help people reinforce their commitments. Dr. Seifert’s clinics see about 2,000 distressed individuals a year, many of them struggling with financial crises. For most people, the right motivation coupled with persistence and the aid of a coach provides what they need to achieve their goals, she says. Consider using websites such as www.stickk.com that allow you to give yourself incentives for sticking to your commitments, and set up penalties for breaking them. This carrot and stick approach relies on three factors: a goal, stakes, and a referee, according to an article a few years go on commitment contracts. When you make a commitment binding in this way, it will make you think twice before backsliding. Even better, the rewards that come with sticking to your commitments establish a feel-good pattern of positive reinforcement. And that will make staying on track easier as you move forward. Don’t wallow in self-blame when you fail. Instead, pick yourself back up, learn from your mistakes, and go right back to work toward your goal. Steve Siebold, author of How Rich People Think, says one of the key differences between those who are defeated by financial roadblocks and those who knock down barriers along their path, is how they respond to disappointment. Siebold estimates that 40 percent to 60 percent of today’s most successful investors, entrepreneurs and executives have failed multiple times. Those who rebound the fastest and most successfully set aside emotional thinking and put their minds to the task of plotting a logical pathway forward. 5. Don’t set yourself up for failure by insisting on an all-or-nothing change. Judith A. Belmont, a psychotherapist and author of the “The Swiss Cheese Theory of Life,” has described New Year’s resolutions as “a setup for failure” because they embrace an all-or-nothing attitude toward change. Belmont cautions against perfectionism and advises patience and persistence instead. One final piece of advice: Give yourself reminders to keep your focus on where you are going and your long-term goals. One of my favorite ways to do this, especially when it comes to holiday shopping, is to wrap my charge cards in my goals. Every time I take a card out, I see a picture or some words that remind me of why I am saving. This is a trick to make yourself pause a moment and consider whether what you are purchasing is more important than your goal. Remember, when it comes to keeping your financial resolutions, you are the key. You make decisions every day, every week and every month throughout the year that all add up when it comes to building savings and wealth. Only when you set your mind and heart to the task can you successfully create long-term change in your fiscal direction. 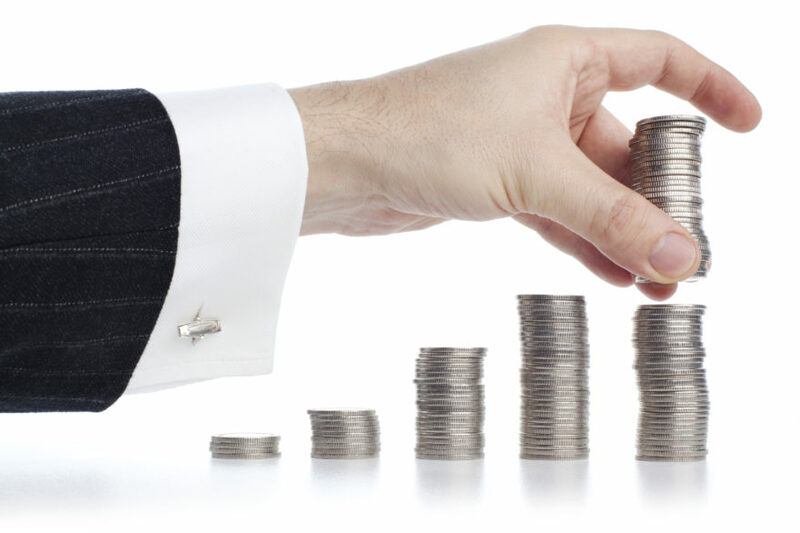 2. Review your current cash flow. Take a deeper look at what you are spending your money on each month and determine what opportunities there are to find “painless savings”. Maybe you will find some easy ways to save a few extra rands for your long-term goals. 4. Estimate if you are on track to maximize your tax contributions. Try not to miss any valuable tax deductions, and also be sure to defer in each pay period to maximize any employer matching contribution. 6. Harvest tax losses. At this point in the bull market you should have more winners than losers, but not all stocks and mutual funds are up. If you hold some losing positions, consider selling them to offset other gains. 7. Plan for any mutual fund distributions.Call your advisor or the fund company to estimate the amount of any distributions and gains. Then either offset those gains with any losses you may have realized, or begin to set aside money for the related tax bill. 8. Check your Flexible Savings Account (FSA). Determine if you have an unspent balance inside your FSA plan. Many plans have a “use it or lose it” feature. Maybe you’ve been putting off a doctor visit or need a new pair of orthotics or a new pair of glasses. If so, use your pre-tax rands that you elected to put into your FSA account, and let the government subsidize some of the purchase cost. 9. Review your homeowners insurance. It may also be a good time to review home and auto insurance to see if the coverage you have makes sense. Make sure the amount of replacement value on your home includes any recent increase in value. Also look at changing your deductibles as a way to possibly save some money. 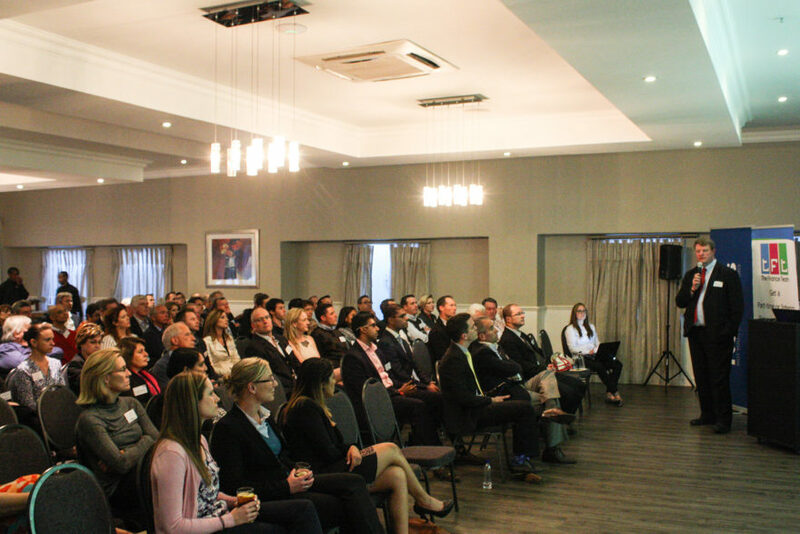 Watch Graeme Saggers’ presentation from the Tax Roadshow. South Africa faces a global climate of uncertainty and nervousness. Gross fixed capital formation was in negative territory in four out of the past six quarters. 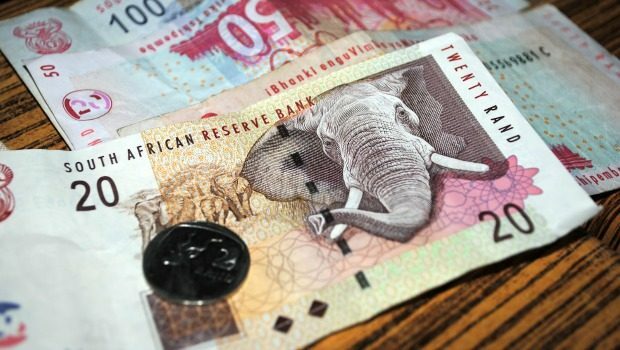 The rand has weakened recently, despite a temporary uptick. According to a recent report from the South African Chamber of Commerce and Industry, business confidence is the lowest it has been in 32 years. Rising public debt now constitutes the biggest risk within the economy. With all of these factors combined, if our GDP grows more than 0.5% this year “it will be almost miraculous,” said Abedian. In his opinion, South Africa’s biggest threat is not the economic climate but the state capture that is permeating so much of our government and the private sector. The so-called “Gupta Leaks”, a recent spate of revelations alleging sinister and corrupt relations between political leaders and business owners have contributed to a huge loss in confidence. The parallel factions that have arisen in the ANC have led to policy uncertainty, a key consideration for investors and rating agencies. A fierce, at times even violent battle for leadership is underway in the governing party, growing more and more heated as its December conference approaches. For the first time since democracy, the ANC is not the foregone winner of the next national elections, and international investors are skittish about the changes that could usher in. Add to this the fact that South Africa has been downgraded to junk status by both Fitch and S&P rating agencies. If Moody’s — which currently has South Africa sitting at one notch above junk with a negative outlook – joins its peers in a ‘junk’ outlook on the country, it will have massive effects on the country’s cash reserves. Bondholders will be legally required to withdraw from South Africa within 6-12 months. New investors will likely come in, but at a worse rate and on less favourable terms. 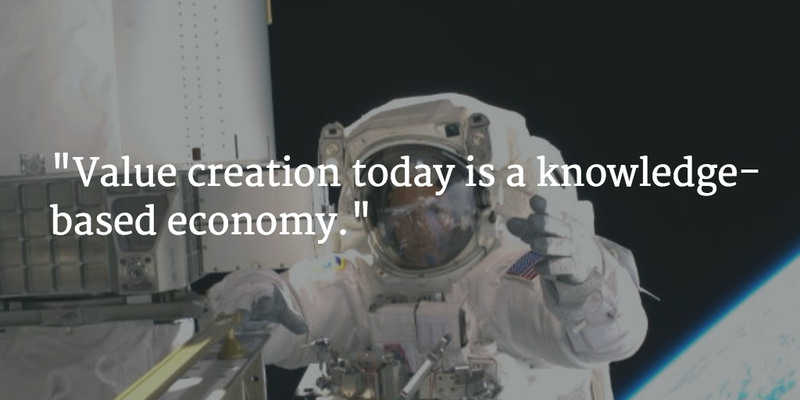 So how do we steer the country – and the economy – in a new direction? 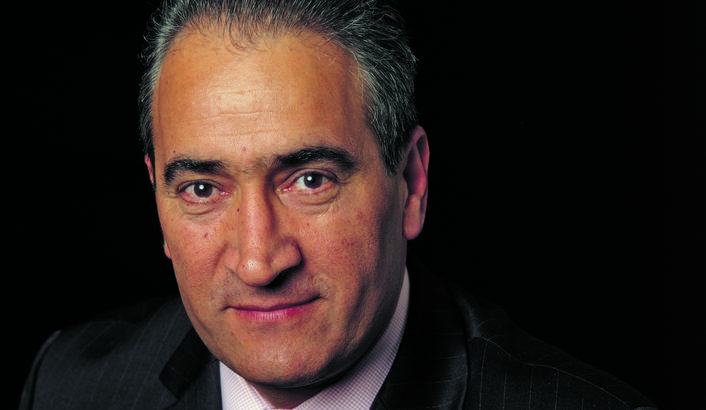 By leveraging our strongest asset, said Abedian. The private sector and its investment in the South African economy “is the only hope that we have of pulling ourselves out of the ditch we are in,” he said. But this means clearing out the rot, so to speak. It starts with business holding itself to a higher level of accountability – as investors, drivers of growth and purveyors of ethical norms. It means becoming corporate activists, said Abedian, who recently resigned from the board of Munich Re because of the company’s continued engagement with audit firm KPMG after they were implicated in the Gupta Leaks. With all the twists, shifts and turns the economy has taken this year, it certainly hasn’t been easy-going for cash-strapped South Africans. Now that we’ve kissed the winter blues goodbye, it’s time to welcome the warmer season with open arms and there’s no better way to do it than with a spring clean… of your finances! “Take this opportunity to get organised. The more organised you are, the more in control you are. You want to be in control of your finances – not the other way around,” says John Manyike, head of Financial Education at Old Mutual. While it sounds easy in theory, in practice there are often unexpected curveballs that can throw even the most prudent of budgeters off the straight and narrow. “Changes in both the economy and your personal life affect your budget, which is why it should be revisited on a regular basis,” says Budget Insurance’s Susan Steward. In September, petrol prices are expected to rise by 59 cents a litre and diesel by 56 cents a litre. Electricity tariffs are expected to increase by more than 20%. And as August stats indicate, South African consumers remain under tremendous pressure to clear debt. Preliminary statistics from Stats SA reveal that there have been 48 169 civil summonses issued for debt in June, valued at more than R350 million. Here are a few guidelines from the experts on how to balance our budgets between September’s petrol hikes and increasing consumer debt and living costs. Make sure to pay off the most expensive debt first. “This is the debt that carries the highest interest rate and is costing you the most. For example, if you have a bond at a 10% interest rate and a personal loan at a 20% interest rate, consider paying off the loan first,” says Manyike. Winter shopping splurges on credit may have accumulated, but if you received an annual increase in July, you may have a little more in your bank account and – as much as it can be tough – use it smartly by paying off outstanding debt, Steward advises, or strategise a smart budget plan to make the necessary payments. This isn’t about scrutinising every cent you spend but rather establishing spending patterns to identify possible areas for saving. A good way to do this is to look at your monthly bank statement and see where most of money is going. You may be surprised at just how much you’re spending in certain areas and how by making small changes you could keep your spending in check. Examine your monthly budget and if your expenses exceed your income, cut out things you can do without. Just like cleaning out your closet or selling old equipment that is taking up unnecessary space, try to eliminate all expenses and purchases that are not essential. Be very clear on the difference between needs and wants. If you didn’t stick to your New Year’s resolution to save more money this year, it’s not too late to start now. Make a plan to set up a monthly debit order to an investment account or open a tax-free savings account, increase your pension fund contribution and request the 13th cheque option from your employer, if available to you. The amount you save towards an emergency fund depends on your personal circumstances. Ideally an emergency fund should cover three to six months’ living expenses, says Steward, adding that while this might seem like an insurmountable amount to save, just by putting aside R250 a week, for example, you have yourself R1 000 at the end of each month. “If you don’t have savings, you aren’t getting ready for the day when you must pay out more money than you have. This day can come in the form of an unexpected medical bill, or family emergency, and it is at times like these that your savings can save you,” Manyike points out. Try establish where unnecessary spending goes and how you can reduce it by making small changes to save big. Keep track of expenses in your statements and find a pattern to re-strategise saving methods. You could be paying subscription fees for magazines you don’t read, a gym you don’t go to or paying for a bank account you no longer use. End subscriptions and use the money in more efficient places. Always read the fine print or terms and conditions when it comes to gaining loyalty points from reward programmes. Falling for a quick programme can have you overspending for smaller returns. Sometimes it’s just not worth it. Research, read and seek advice on the best methods to save your money and make it go further for longer. Understanding investments, pension funds and the best account to save and spend your rand can certainly take you a long way. Cash flow management for small businesses is one of the greatest challenges for business owners and managers. The process of managing the outflow of cash to settle accountants payable utilising cash inflows from cash sales and accounts receivable, is a daily task. By successfully managing to balance these two activities, companies are able to generate the optimum cash flow for the business. How do you ensure that the cash coming in is sufficient to cover all the outgoing payments that are required? It really seems like the simplest of equations, but in reality, correctly managing cash flow and your cash flow conversion cycle is what will keep your business alive. Failing to manage your cash flow conversion cycle will place your business under huge pressure and often results in business failure. With the tips contained in our infographic, for managing cash flow, you’ll find ways to balance out your cash flow cycle, including taking out a small business loan or line of credit to cover inventory, seasonal demand or hiring new employees etc. Compare prices from more than one supplier and select the supplier that offers the best product for the best price. Continuously re-evaluate suppliers and services to ensure they remain competitive. Ask suppliers if they offer a settlement discount if their account is paid immediately and not only after 30 days which is the norm. Evaluate all your payees. Don’t just automatically settle the small amounts first. Consider their terms and understand how essential they are to your business. Maximise your payment effectiveness. Automate your payments through internet backing so your accounts are paid on time. Consider using a business credit card to settle bills immediately and pay the amount off over time or apply for business credit cards for staff who need to incur business expenditure regularly at various adhoc suppliers, thereby cutting down the paperwork and man hours associated with a reimbursement process. Research. Always make sure that your pricing of goods and services remain competitive when looking at companies within the industry that offer similar goods and services. Whilst conducting research, consider if there are any additional goods and services that you should be offering to your clients or customers. Track payments so you are aware of the timing of incoming cash, perhaps offering a discount on early settlement that will encourage clients to settle their accounts early, thus improving the cash flow of your business. Set earlier time frames for accounts to be settled. If you can request only COD or EFT payments as they are a lower risk way of trading. However, if clients or customers do need terms, then reduce these terms from 60 days to 30 days. Run credit checks on new clients or customers. It is critical for companies whose core business is manufacturing to undertake this prior to orders being processed. Nothing can sink a company faster than when they have manufactured an order of customised or company branded items that cannot be sold to defray expenses. Always ask for a 50% deposit before commencement of any order. Make sure you send out clear itemised billing statements so clients or customers are fully aware of what they owe and the length of time this has been outstanding. Divide work into stages or phases and request payment for each stage or phase before work continues on future stages or phases.